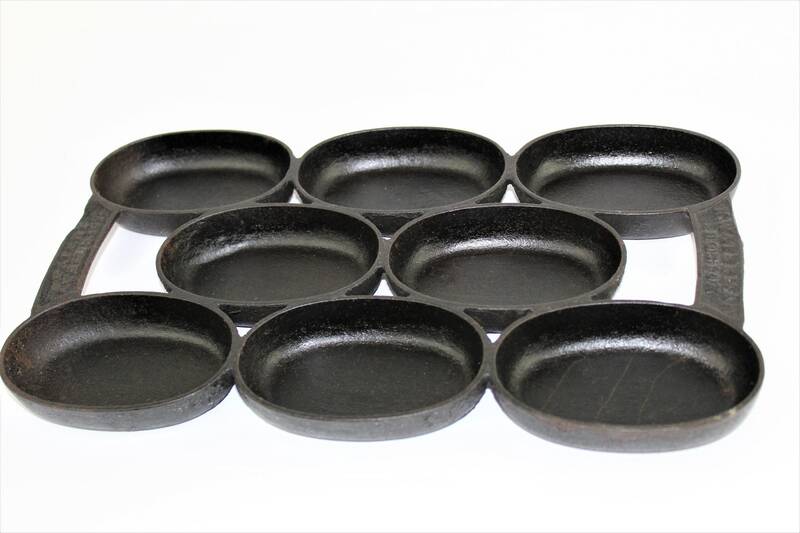 Wonderful find the granddaddy of cast iron gem pans this 1859 cast iron gem muffin pan made by N. Waterman of Boston Massachusetts. 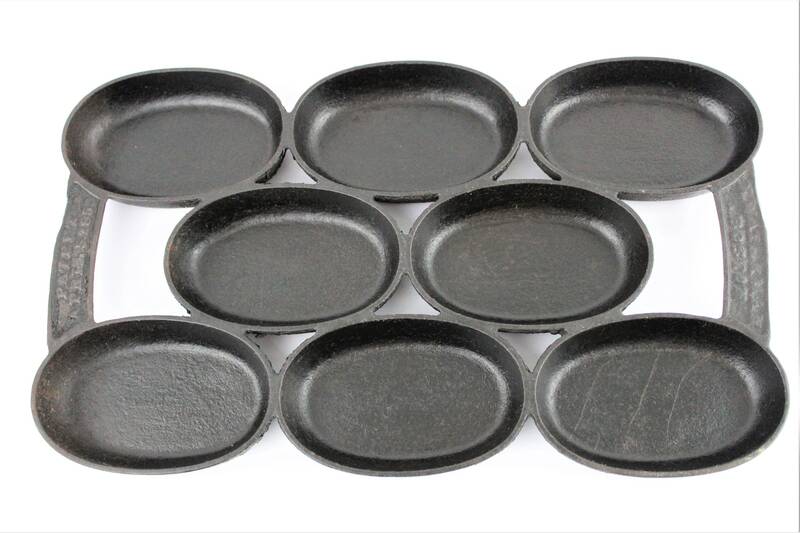 These are considered the quintessential gem muffin pan design copied by several other cast iron manufacturers. 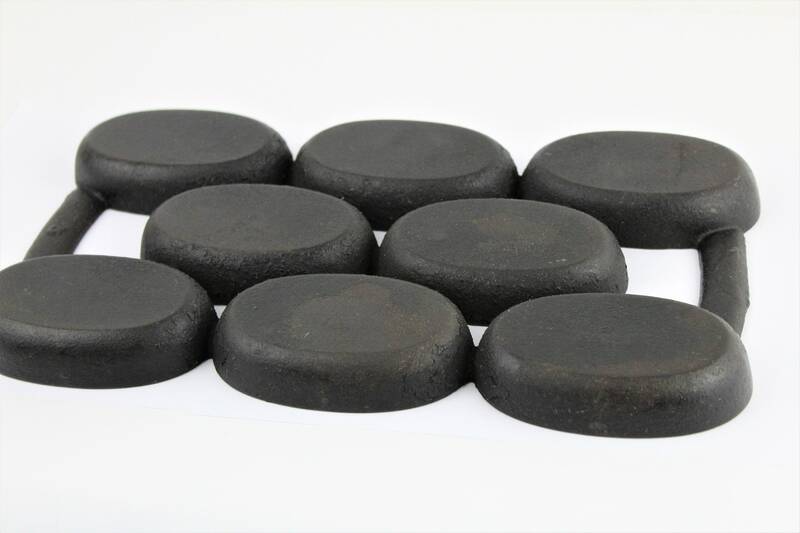 We have lightly clean and oiled the cast iron with food safe oil to prevent surface rust from forming. Condition; Very good for age needs a good cleaning. Please see all pictures. 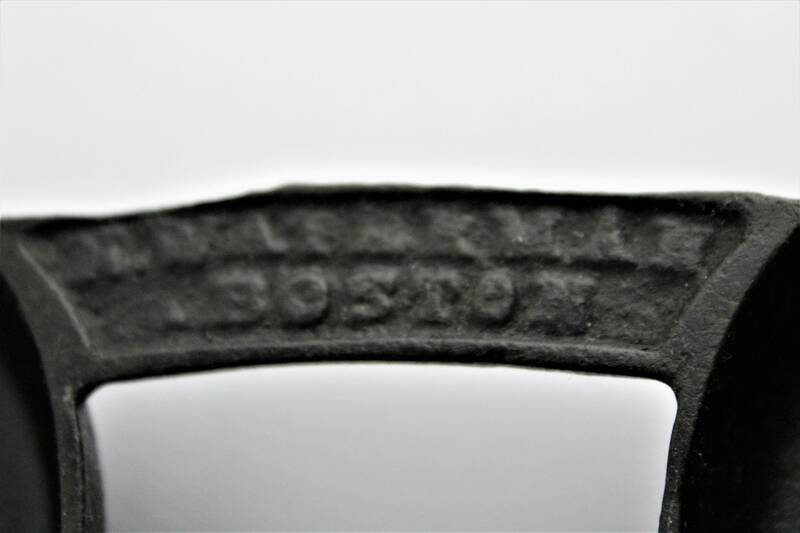 Nathaniel Waterman of Boston Massachusetts is acknowledged as having first patented in 1859 what is considered the quintessential gem muffin pan design, at the time calling it an "egg pan". 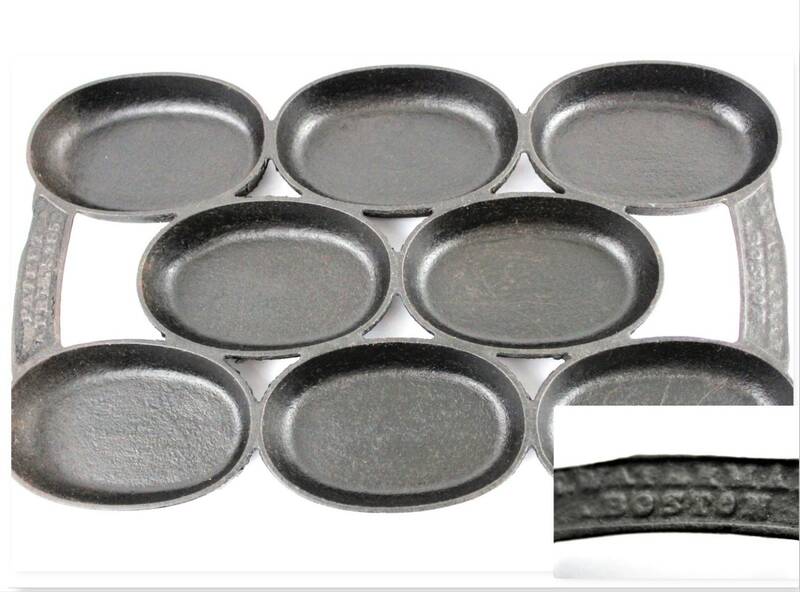 The main features of the patent were (1) the individual cups with cut-outs between each to allow for the even circulation of heat around them, but (2) still being sufficiently connected together to promote conduction of heat through the iron. Multiple configurations of several shapes were devised, each with a unique number assigned that came to be employed as somewhat of a standard, even by other manufacturers who-- with or without authorization-- copied the designs. Please remember to be a true Antique it must be 100 years old if less than 100 years it is Vintage.